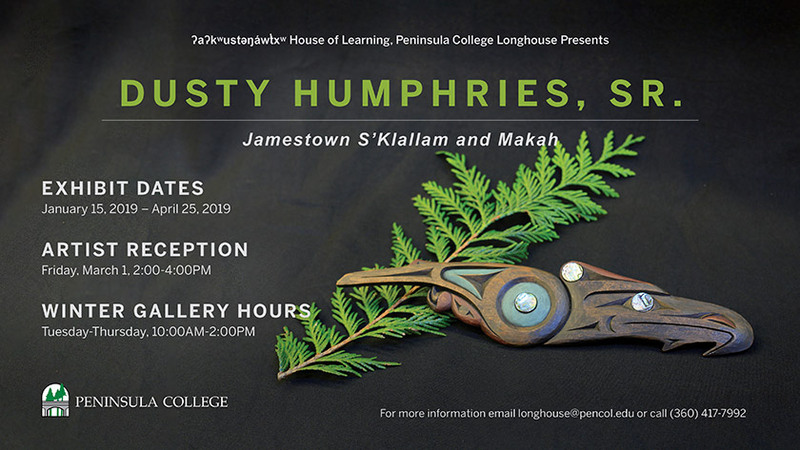 The permanent collection of art in the Longhouse represents six local tribes: Hoh River, Quileute, Makah, Port Gamble S’Klallam, Jamestown S’Klallam, and Elwha Klallam. International artists also have works on display, and new pieces are being added continually. Each artistic creation carries a story along with layers of meaning which contribute to the uplifting, collaborative and reverent intention behind the Spirit of the Longhouse. Tribal artwork is featured throughout the Peninsula College campus, and the Longhouse is home to a number of diverse works from a variety of artists and disciplines.